In teeming Bombay of the late 60’s, he was a somewhat radical Malaysian student journalist. 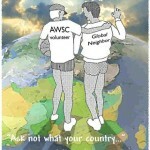 I was an Urban Community Development Peace Corps Volunteer. 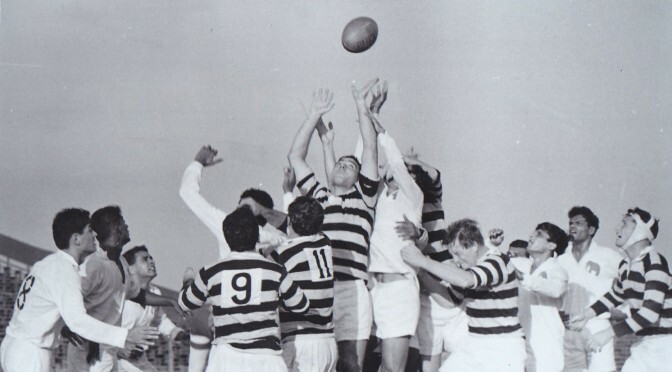 The Bombay Gymkhanna had a rugby team that needed American footballers and a swift running back. The combination took us to the All South Asian Rugby Championship, and gave a few PCVs and a Malaysian student many meals we otherwise couldn’t afford. Recently (about ten days ago), with him carrying a gimpy rugby back’s knee, I again tasted his renowned hospitality. This time, however, Kadir was Malaysia’s Ambassador to Germany. It is hard to imagine a more comfortable way to glean post 911 perspectives from Europe, ambassadors and Muslims. Over and over it came back to America fixing this or that and Palestine…. When you are the toughest kid in the neighborhood even grown-ups expect you to settle squabbles between foolish juveniles. It’s not as easy as the strongest nation among nations that have centuries of wonderful civilizations intermixed with tragic warrings. Nonetheless, so many point to young America as the world’s problem handler – militarily, diplomatically, economically. At least when you were the toughest in the hood, you had experienced grown-ups who seldom hesitated to fill the roles you were learning. In discourse, one hopes young America’s side is being heard. No nation gives more aid to Afghanistan. Who helped the Mujahadeen free their nation from Russians? Who tried to nation build Somalia, perhaps the world’s poorest nation, and watched its Rangers lose 18 as they fought their way out of a downed helicopter and killed over 500 fundamentalist inspired warlords? Who sent force to Kosovo, stopping Milosevic from cleansing Albanian Muslims? Yet who is constantly vilified for meddling too much – yet not doing enough? No nation gives more aid to Afghanistan. Who helped the Mujahadeen free their nation from Russians?… Who tried to nation build Somalia, perhaps the world’s poorest nation, and watched its Rangers lose 18 as they fought their way out of a downed helicopter. Yes, rich, strong America must do much. But the world’s older, grown-up nations have a huge responsibility to take bold stands and implement solutions. They must educate against irrationalism. 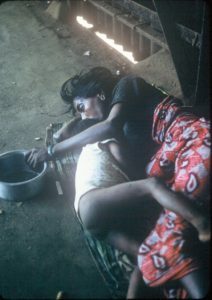 Aid and invest in needy countries. Send troops, food and foreign aid. They should start their own Peace Corps, Habitat for Humanity, Doctors Without Borders, so they too can help make the world more livable for the poor upon whom fanatics prey. With his millions, he ought to offer to build state-of-the art UN staffed schools in a children labeled peace zone along Palestinian Israeli borders. These peace zones would allow children from both sides to learn, play and build relationships that destroy hateful stereotypes – those too often seen in Middle Easterners’ eyes on TV. You want a public relations coup that will win the world’s hearts? A stealth missile to obliterate the dark caves of poverty and ignorance where terrorisms lurks? Education and its relationships are how struggles – or jihads – are overcome.